Today I’ve rounded up some amazing Handmade 4th of July Projects! 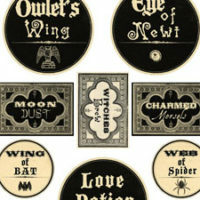 All of these pretty crafts and projects were created using Vintage Graphics from my site. Some were created by me, some by my contributors and some were submitted by readers! I had so much fun putting this collection together, I hope these projects and DIY’s will help inspire you to create some patriotic projects of your own! You can find the first project below! 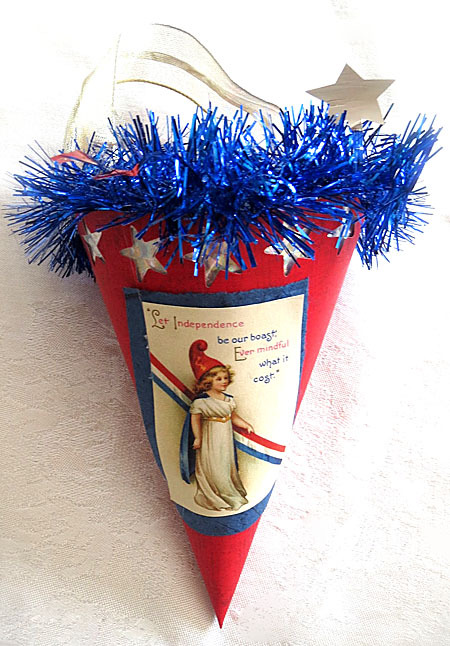 This charming 4th of July Paper Cone Project was created by Christina from Penny Wise Blog! 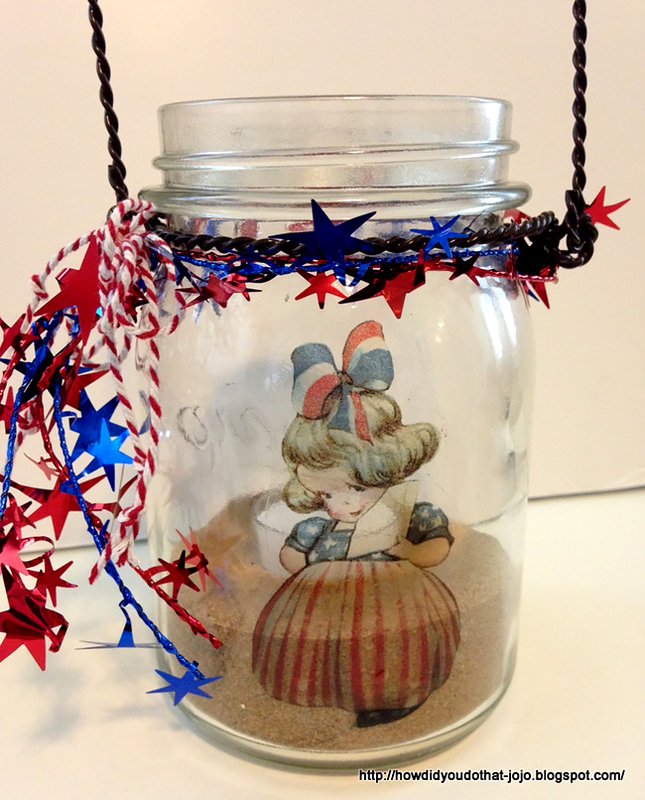 She used the Patriotic Girl Image to add a patriotic touch to this super cute decoration! Michelle from Just a Nutter Stamper made this beautiful patriotic handmade card! She used the Lady Liberty Postcard for this beautiful card! This super cute 4th of July Badge was submitted by Morena from Morena’s Corner! 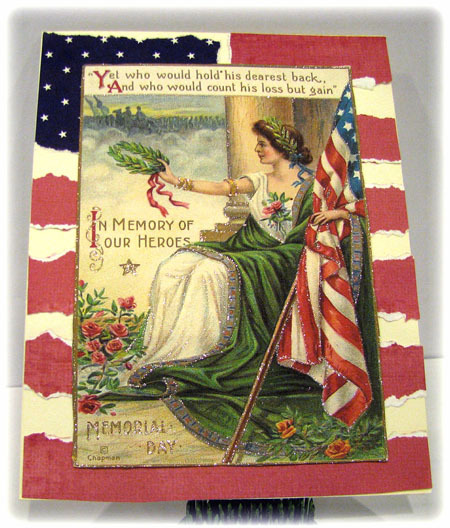 She used the Vintage Memorial Day Image – Lady Liberty Postcard to create this adorable badge! 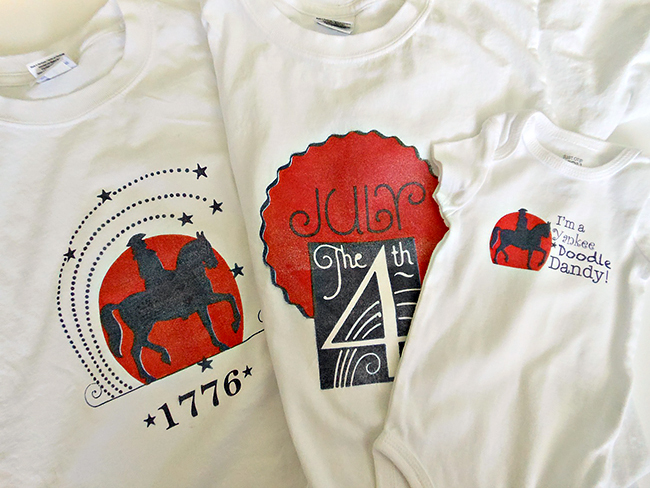 These fantastic 4th of July Shirts were created by PJ from The Impulsive Crafter! PJ used the Vintage Patriotic Clip Art and other Patriotic Images to create these fantastic shirts for her kids! 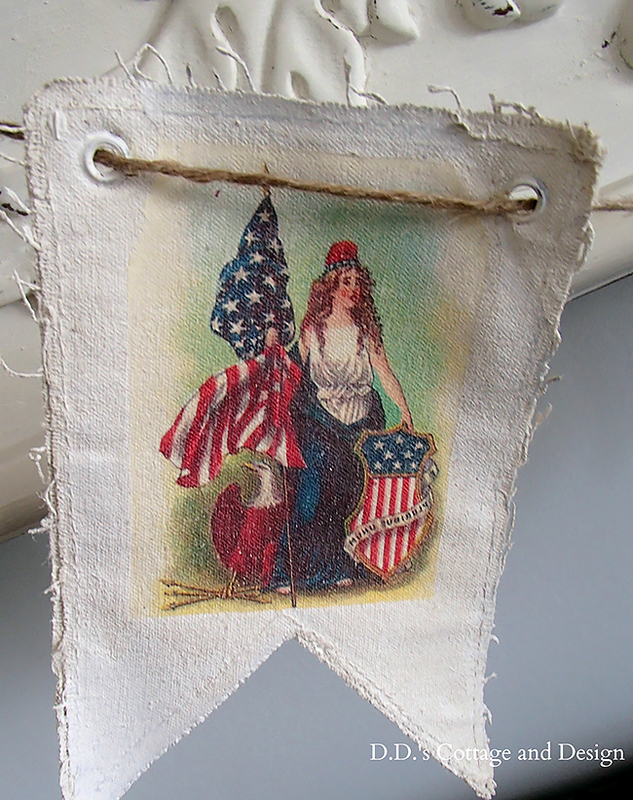 This awesome DIY Patriotic Banner was made by Darrielle from D.D.’s Cottage and Design…isn’t it amazing? She used the Vintage Lady Liberty Clip Art for this patriotic banner! 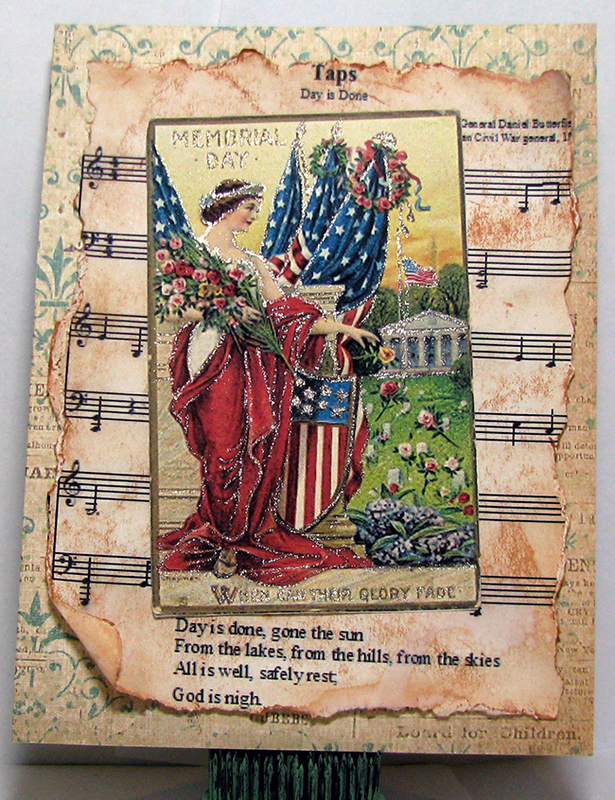 Michelle from Just a Nutter Paper Crafter made this gorgeous Patriotic Card using the Lady Liberty Postcard Image. I absolutely adore it! 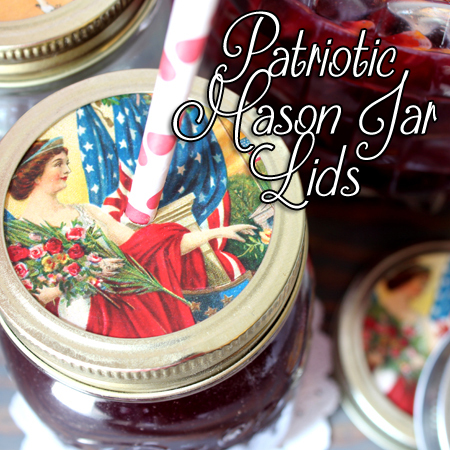 Andrea from The Cottage Market made these lovely Patriotic Mason Jar Lids using some of the Patriotic Images from my site…they are perfect for a 4th of July party or celebration! 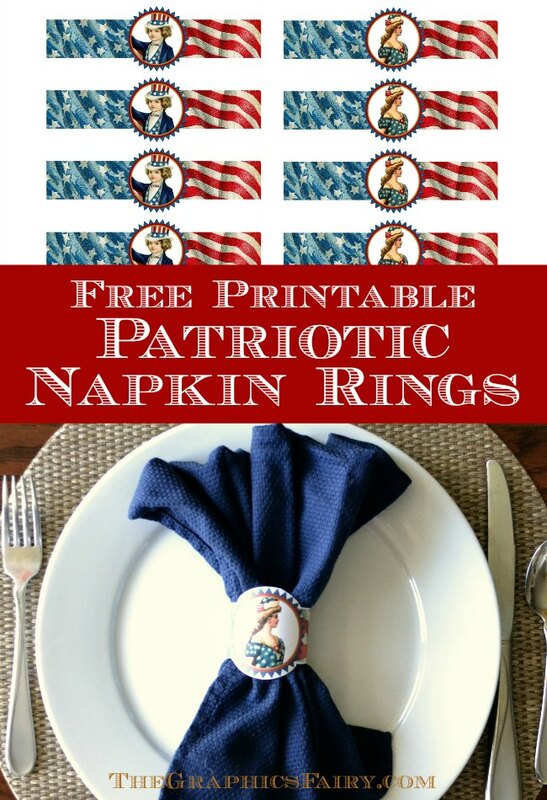 My good friend Emily created these fantastic Free Printable Patriotic Napkin Rings! They are so simple to make…just print and add them to your table decor! 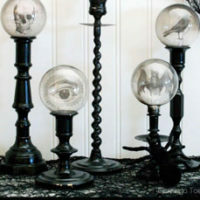 Be sure to check out the post to see all of the images she used and step by step instructions on how to create your own! Joy from How Did You Do That JoJo? made these super adorable Patriotic Glass Lanterns using the Patriotic Girl Image…the perfect touch for your home during any patriotic holiday! 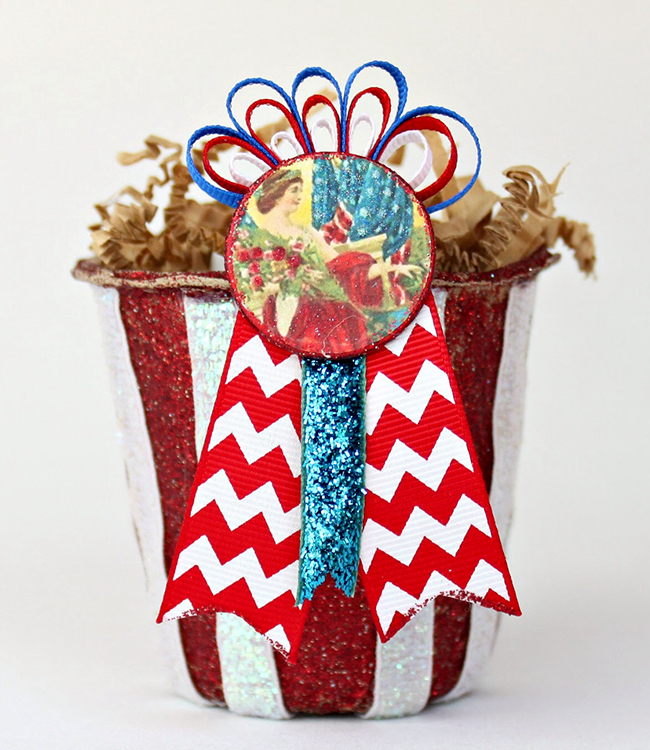 Margaret from Ewenique created this festive Patriotic Can with Fans using the Lady Liberty Image…this would be perfect as a 4th of July centerpiece! I hope you enjoyed this collection of handmade 4th of July projects! 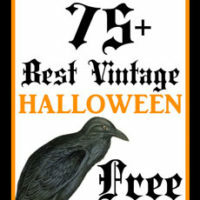 « Vintage Mysterious Castle Image! Thanks for including me in this awesome roundup! So many inspiring projects with awesome graphics! Thanks so much for your super cute creation! !